Jason Aaron, the hot new writer of the critically acclaimed series THE OTHER SIDE, teams with gritty artist R.M. Guéra for an intense crime drama that mixes organized crime with current Native American culture. 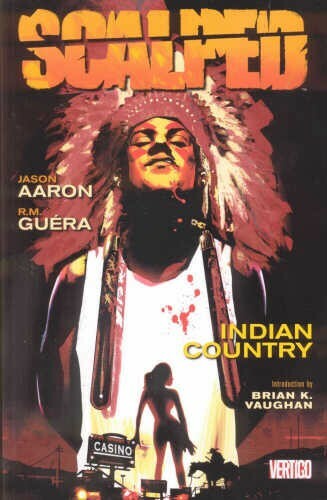 This volume collects the first five issues of the riveting Vertigo series Scalped.